Channahon Lanes and Mini Golf is a family-owned center featuring 16 lanes of bowling, an 18-hole mini golf course, a full service bar, snacks, gaming, pool tables, and a game room. Channahon Lanes offers league bowling as well as open play including Glow Bowl “Rock It Bowl” every Saturday from 8 pm – close. Party packages are available for birthdays, group outings and corporate functions. We also offer several options to help you host a successful fundraising event. What made you decide to add a mini golf course? In the Midwest, bowling is more popular during the winter months. We were looking for a multi- generational activity that would be more popular during our “off” season. We saw mini golf as a great way to socialize, enjoy the outdoors and get a little exercise. What would you like to tell our readers about your business and its new addition? We have been in the bowling business for 20 years and pride ourselves in being a family- oriented business. We are hoping the addition of the mini golf course will enhance the family – friendly entertainment opportunities for the people of Channahon and the surrounding areas. 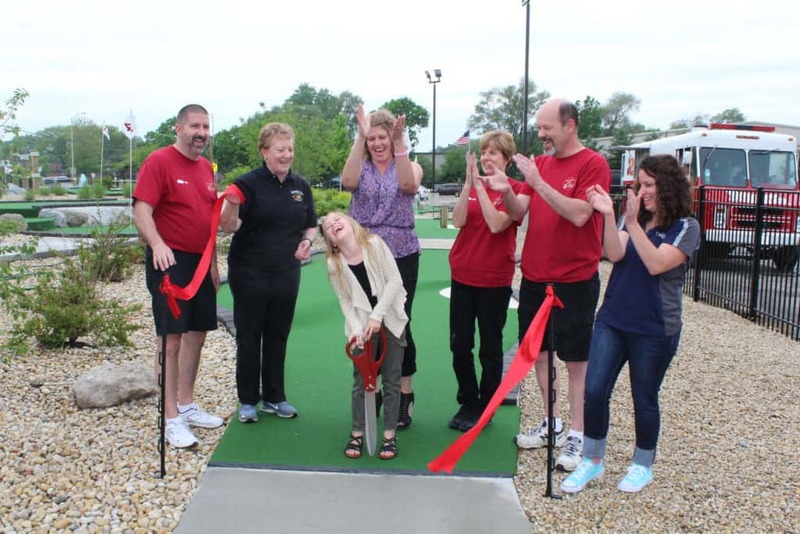 We strive to provide our customers with a positive, fun experience both on the bowling lanes and on the mini golf course. In the near future, we will be finishing our new party room in the bar area. The room will provide a private space for birthday parties or can function in a variety of ways during larger group outings and fundraisers. We hope to expand our loyalty program so our members can enjoy benefits while mini golfing as well as bowling. We also hope to improve the mini golf outdoor seating area for a snack after mini golf or as a place to enjoy a cold beverage or ice cream on a warm summer evening. In the future, we hope to improve the bike/walking path leading into the parking lot and add music to the mini golf course area. What other information is important to tell our readers? We appreciate our current loyal customers and welcome all new patrons. We look forward to working with the members of our community for many more years.